Apprenticeship funding: how will it work? There are so many updates on the apprenticeship reforms it’s hard to keep up! Just last week the government released more documents in response to the consultation on apprenticeship funding, which started on 12th August 2016. To help employers make sense of the changes to the proposals released earlier this summer, (which are outlined in brief in the table below), DiVA held a webinar that attracted over 50 employers. During the meeting, Arit Eminue, Founder and Director of DiVA and Paul Irvng, Chief Executive of DiVA, walked through the latest updates. A training provider will receive an extra 20% of the funding band maximum of the relevant framework. This is to support providers as they adjust to the reforms. The 20% uplift is under review and may be reduced as more apprenticeship starts are on the new apprenticeship standards. The additional funding, which applies to 19-24-year-olds care leavers and those with Education and Health Care plan, is paid direct to the provider from government and will not be deducted from an employers levy account. The uplift will not be paid against an apprenticeship standard. Removal of support for areas of disadvantage To ensure diversity across apprenticeships providers will receive additional support between £200 – £600 to support apprentices from some of the most deprived areas in England. Funding is set against the Index of Multiple Deprivation which is government study of deprived areas in English local councils. Funding is set against the Index of Multiple Deprivation which is government study of deprived areas in English local councils. For example, if an apprentice lives in the top 10% of deprived areas a provider will get £600. If they live in areas that fall within 20-27% they get £200 – those in the middle get £300. The funding is paid direct to the provider from government and is will not be deducted from an employers levy account. 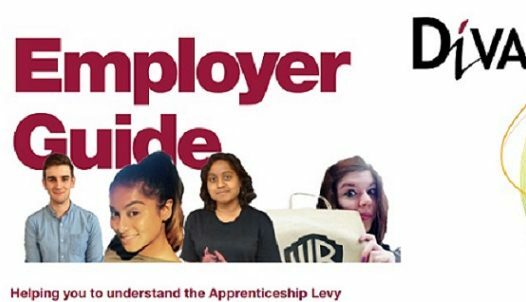 For details on how DiVA can help your business benefit from the Apprenticeship Levy, contact Arit Eminue on 0203 189 1784.